I’ve always been (psychological term) a “highly sensitive” person, wired to be aware of sensory perceptions much more than most people—to the point where others don’t even know what I’m talking about—something that can be a benefit, but also a hassle. Noise can be a serious stressor, but after my March 2018 concussion it remains a challenge, particularly if I’m tired. I can walk into a grocery store and be (not always but sometimes if tired) stomped upon by noise, unable to tune out 5 or 6 independent noise sources, all streaming in without being able to tune it out—stuff most people aren’t even aware of becuase the brain auto-eliminates it—I just have to exit. Home is no longer relaxing—constant airplanes overhread, lawnmowers and leaf blowers, traffic, refrigerators, loudmouth people having dialogue 100 yards away, the inconsiderate who idles a vehicle for half an hour, etc. New home construction next door will be sheer hell for 12 to 18 months, so I may have to stay away from home a lot—my Mercedes Sprinter van is my fallback—leave when I can. In the mountains, all I have to deal with is wind and owls or birds or a running creek—takes a huge stressor away. But enough of that—it’s to explain the priority that eliminating noise has in my life—I still feel lucky as hell and plenty of people have far worse issues to deal with. And my tolerance is steadily increasing as my brain continues to recover; I’m thinking 2 years will be the recovery time from my concussion. Enter noise canceling headphones. After my concussion, the Sony WH-1000XM2 headphones were a brain-saver, particularly when driving. Since then, I’ve migrated to the Sony WH-1000XM3 Wireless Noise-Canceling Over-Ear Headphones. The sound quality (when I listen to music which I can tolerate, something about single sound streams) is terrific. The noise canceling is first rate. If you’ve had a concussion in particular, I strongly recommend taking the load off your brain with these headphones. Even without a concussion noise can be a serious stressor that adds up over time—e.g., an open office environment (surely designed by those ignorant of perceptual differences, or ignorant of the stress that noise can cause). For those who have not used noise-canceling headphone: noise cancellation works on steady background noise; it does not eliminate sporadic or intermittent sounds. That’s both good and bad. Use earplugs in addition when there are noises that don’t get cancelled out. I have found the ear protection that shooters wear to work well for noise elimination. E.g., https://www.basspro.com/shop/en/rangemaxx-maxx-muff-folding-earmuffs. Combine that with earplugs and you will not hear anything: A much better choice than noise cancelling headphones in my opinion. The dampening shuts everything out, making them dangerous for driving or anything where some level of awareness is needed. Sony noise canceling headphones can be adjusted to full reduction or some intermediate level. 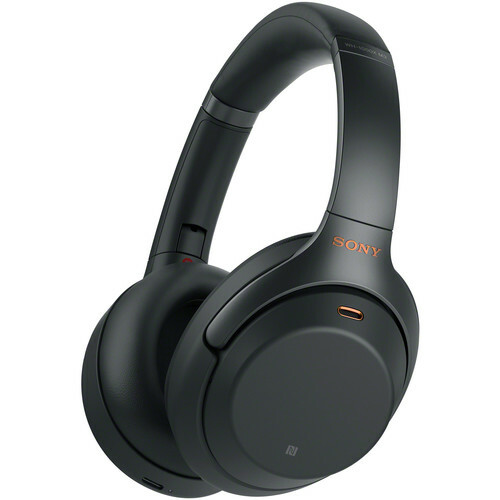 The Sony headphones adjust noise cancellation for the exact environment, including altitude (air pressure), hair and head type, etc—it actually measures the sounds and adjusts accordingly. The Sony headphones can be used without noise cancellation, e.g., just like regular headphones. I don’t listen to music much, but I do listen to audiobooks a lot. It seems very unwise to just shut everything out while driving, plus it’s boring (no audio of any kind). The Sony headphones are rated for 29.9B attenuation, verus 28 dB for the plain ear muffs. It’s not clear to me how plain ear muffs do on low frequencies; they might be optimized for high frequencies. With the Sony headphones, I can raise a hand to one ear and all the canceling instantly shuts off. They also work with phone calls. The plain earmuffs look to be considerably heavier and bulkier. It’s one thing to wear them shooting or cutting wood, another to sit at a computer for hours. The Sony's come in a compact case for travel.